The white, security Labels L6145-20 for b / w laser printer in the format 45,7×25,4mm Avery are ideally suited for safety and warning, or as a seal of approval. 800 matt-coated acrylic film labels on 20 sheets. The foil can be personalized according to the sticking deduct only in parts and not stick back, so attempts at manipulation are immediately visible and help you to protect yourself from theft. The film labels are also particularly durable: waterproof, oil, dirt and temperature resistant (-40 ° to + 120 ° C). 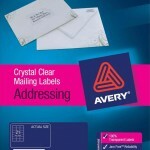 Design and print the slides Sticker quick and easy – with the free Avery labels templates and software solutions under www.avery-zweckform.eu/print or the built-in Microsoft® Office package based templates. Suitable for all standard black / white laser printer. The white, security Labels L6146-20 for b / w laser printer in the format 63,5×33,9mm Avery are ideally suited for safety and warning, or as a seal of approval. 480 matt-coated acrylic film labels on 20 sheets. The foil can be personalized according to the sticking deduct only in parts and not stick back, so attempts at manipulation are immediately visible and help you to protect yourself from theft. The film labels are also particularly durable: waterproof, oil, dirt and temperature resistant (-40 ° to + 120 ° C). Design and print the slides Sticker quick and easy – with the free Avery labels templates and software solutions under www.avery-zweckform.eu/print or the built-in Microsoft® Office package based templates. Suitable for all standard black / white laser printer. The white, round Security Labels L6112-20 for b / w laser printer in the Format Ø 40mm Avery outstandingly suitable for the property assurance. 480 Foil stickers on 20 sheets. The security labels behind when pulling off a stop writing, be tampering immediately visible. 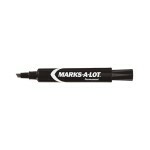 The labels are thus also suitable particularly for sealing devices or as a maintenance seal. The safety labels are also also extremely durable: spray and tear-resistant, oil, dirt and temperature resistant (-40 ° to + 100 ° C). 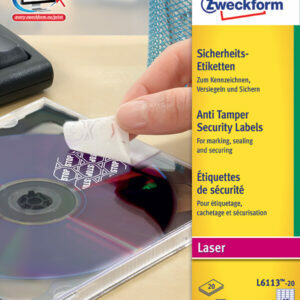 Design and print security sticker quickly and easily – with the free Avery labels templates and software solutions under www.avery-zweckform.eu/print or the built-in Microsoft® Office package based templates. Suitable for all standard black / white laser printer. The white Security Labels L6113-20 for b / w laser printer in the format 45,7×21,2mm Avery outstandingly suitable for the property assurance. 960 Foil stickers on 20 sheets. The security labels behind when pulling off a stop writing, be tampering immediately visible. The labels are thus also suitable particularly for sealing devices or as a maintenance seal. The safety labels are also also extremely durable: spray and tear-resistant, oil, dirt and temperature resistant (-40 ° to + 100 ° C). 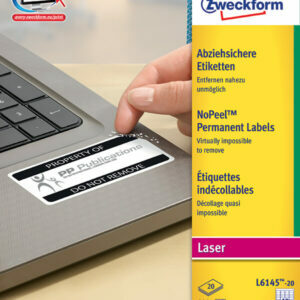 Design and print security sticker quickly and easily – with the free Avery labels templates and software solutions under www.avery-zweckform.eu/print or the built-in Microsoft® Office package based templates. Suitable for all standard black / white laser printer. The white Security Labels L6114-20 for b / w laser printer in the format 63,5×29,6mm Avery outstandingly suitable for the property assurance. 540 Foil stickers on 20 sheets. The security labels behind when pulling off a stop writing, be tampering immediately visible. The labels are thus also suitable particularly for sealing devices or as a maintenance seal. The safety labels are also also extremely durable: spray and tear-resistant, oil, dirt and temperature resistant (-40 ° to + 100 ° C). 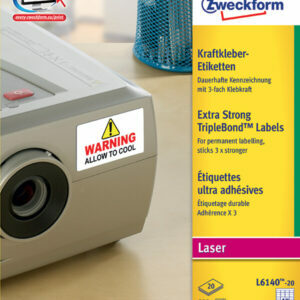 Design and print security sticker quickly and easily – with the free Avery labels templates and software solutions under www.avery-zweckform.eu/print or the built-in Microsoft® Office package based templates. Suitable for all standard black / white laser printer. 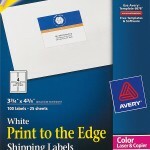 The white, durable Power Adhesive Labels L6140-20 for laser printers in the format 45,7x25mm Avery are ideal for innovative product and property labeling. 800 water-resistant decal of polyester film on 20 sheets. The film labels stick three times stronger than conventional labels and even for difficult surfaces such as hot, cold or rough ground no problem. The foil stickers are also very durable: tear- and water-resistant, oil, dirt, UV and temperature resistant (-40 ° to + 100 ° C), also for outdoor use. Design and print your slides Sticker quick and easy – with the free Avery labels templates and software solutions under www.avery-zweckform.eu/print or the built-in Microsoft® Office package based templates. Suitable for all common laser and color laser printers. 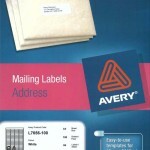 The white, durable Power Adhesive Labels L6141-20 for laser printers in the format 63,5×33,9mm Avery are ideal for innovative product and property labeling. 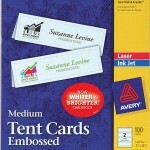 480 water-resistant decal of polyester film on 20 sheets. The film labels stick three times stronger than conventional labels and even for difficult surfaces such as hot, cold or rough ground no problem. The foil stickers are also very durable: tear- and water-resistant, oil, dirt, UV and temperature resistant (-40 ° to + 100 ° C), also for outdoor use. Design and print the slides Sticker quick and easy – with the free Avery labels templates and software solutions under www.avery-zweckform.eu/print or the built-in Microsoft® Office package based templates. Suitable for all common laser and color laser printers.